I've found it! For months I've been scouring Spotify for great kids worship music that isn't cheezy. I don't need to hear the typical songs just with a kids choir. Sorry. Not for us. We can just listen to the real thing. And we do. 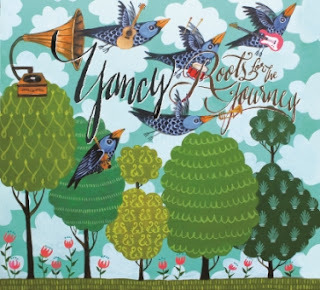 But I stumbled on Yancy's music here on Amanda's blog. I can honestly say these tunes will be playing in our house all. the. time. 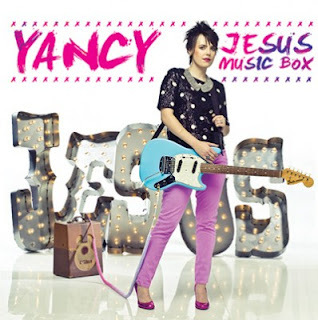 Lots of Yancy's albums are fun crank-it-up to dance and worship songs with great lyrics. So fun. Her newest album Roots for the Journey is ah-mazing. Scripture. Beautiful. This album is more unplugged, and all based on Scripture. Perfect music to have playing through the house throughout the day. I'm sold. You won't regret checking it out!